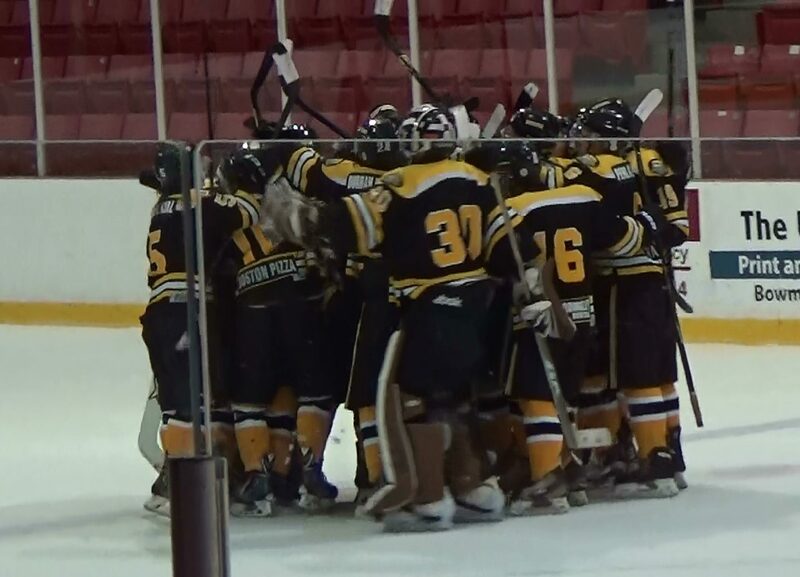 Comments Off on Lakefield Shuts Down the Bruins in a 4-1 Loss! Lakefield Shuts Down the Bruins in a 4-1 Loss! Wearing their new 40th anniversary jersey’s couldn’t motivate the Bruins to the win the game tonight as they fell 4-1 to the Lakefield Chiefs. 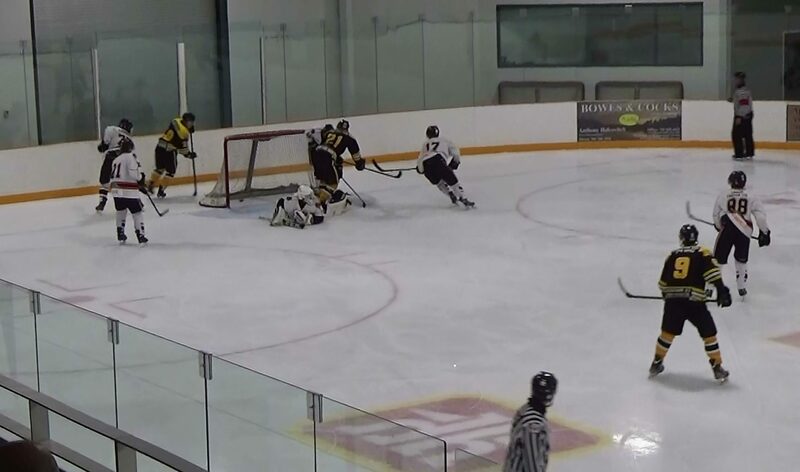 Brady Baker was the lone Bruin to find the back of the net in the second as he fired a rocket from 10 feet out for the only lead of the game by Uxbridge. The Chiefs tied it up to end the second at 1-1 and added 3 in the third including an empty net goal for a 4-1 final. Next Friday Oct.7th the North Kawartha Knights visit Uxbridge for a 7:45pm start. Comments Off on Uxbridge Defeats the Eagles in Clarington OT Thriller! 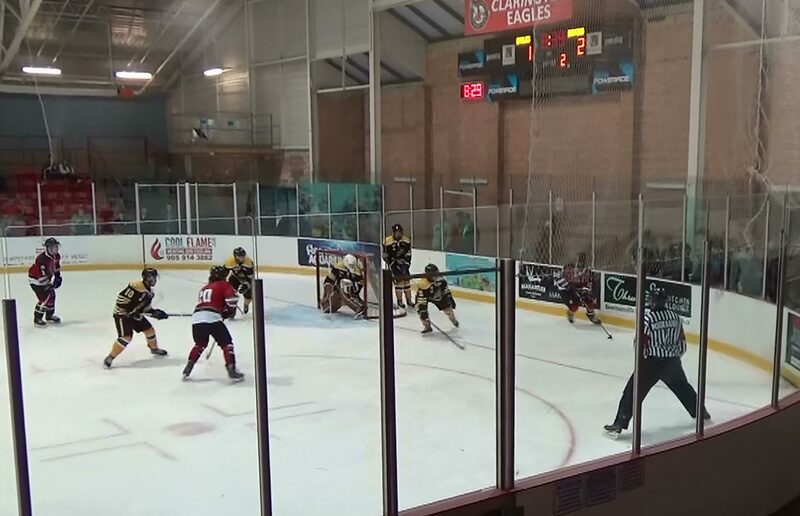 Uxbridge Defeats the Eagles in Clarington OT Thriller! Brady Baker (PP) got the Bruins on the board in the first with a point blast on a nice one timer from Adam Bartholomew. Patrick Bolahood also picked up a point, the first of three on the night. In the second the Eagles tied it up but it only took a minute thirty four later for Bolahhood (PP) to regain the lead. Ryan McConkey started the play from his own end passing to Aiden Reilly and he dropped a pass to Bolahood who walked in and he found the top corner on the goalies stick side, Bruins up 2-1 after two. 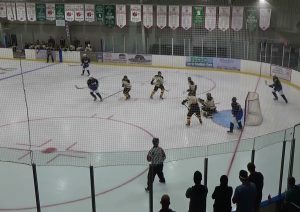 with just 10 seconds left on the clock in the third the Eagles in a wild scramble got the tying goal to send it to overtime, setting up some thrilling 3 on 3 action. Bolahood picked up Bakers rebound, circled the net and roofed a shot over a sprawling Eagles goalie for the 3-2 win. Ryan McConkey picked up his first win between the pipes in his first junior C game. Congrats Ryan! The Bruins host the Lakefield Chiefs at the Beard Den Fri Sept.30th at 7:45pm. Comments Off on Bruins Unveil New Trophy Case! Bruins Unveil New Trophy Case! 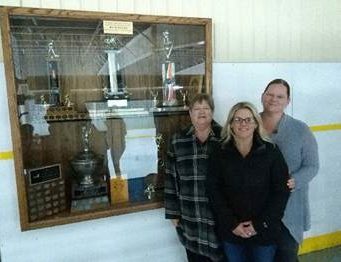 The McGuckin Family Sheila, Stacey and Brandy, pose for a picture of the new trophy case that was built through donations from the family and those who donated in lieu of flowers at the funeral for Ray McGuckin. 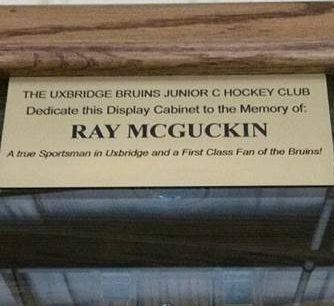 Ray was an avid sportsmen and and one of the most loyal fans of Bruins hockey over the years. 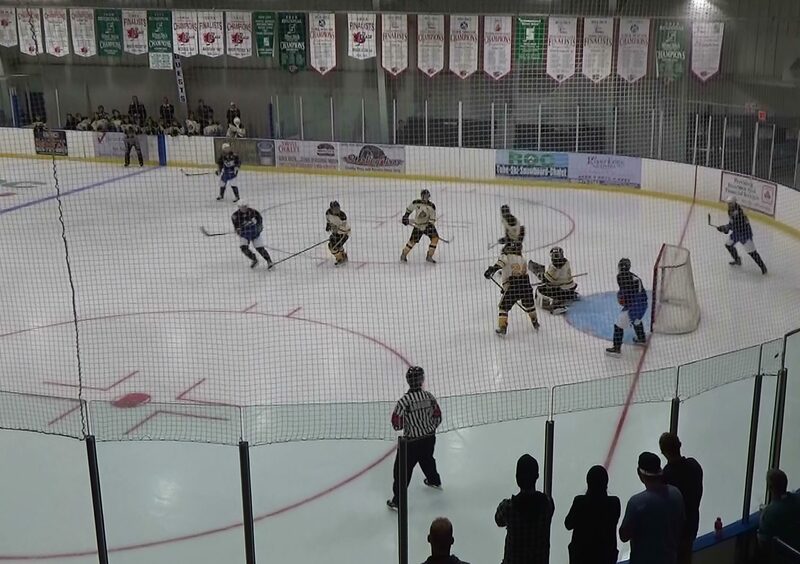 Comments Off on Bruins Lose 40th Anniversary Home Opener to the Mojacks! Bruins Lose 40th Anniversary Home Opener to the Mojacks! With The Music of Erin Briggs playing in the parking lot for the home opener Tailgate Party, the Bruins couldn’t pull off the win in the arena to start the 40th season.They fell behind 2-0 in the first but fought back for a 2-2 tie after two on goals by Cristian Giorgio and Simon Feig. It was the Mojacks scoring the only goal in the third for a 3-2 win. 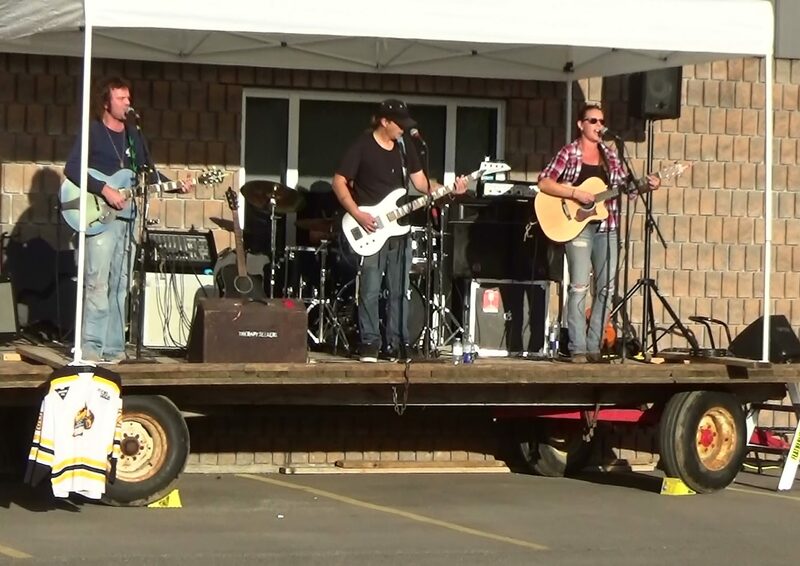 Comments Off on “Therapy Seekers” will be Rockin’ the House at Our Bruins Home Opener! “Therapy Seekers” will be Rockin’ the House at Our Bruins Home Opener! 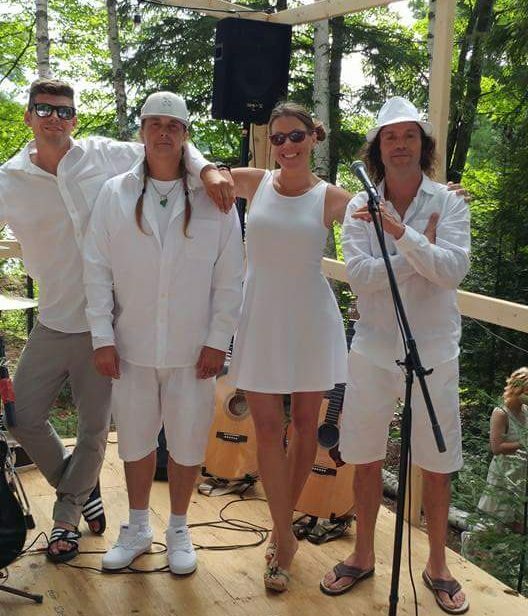 (Photo and Logo Copyright of Therapy Seekers) John Beaudrow, James Smith, Ryan Duffy and Erin Briggs form the ever popular Uxbridge band “Therapy Seekers” and are playing the Bear Den at our home opener Fr. Sept.23 at 5:30 pm. They will be part of the 40th anniversary of the Uxbridge Bruins as we kick off the 2016/17 season against the Port Perry Mojacks. The tail gate party will be a family non alcohol event where you can get Hot Dogs and Soft Drinks while listening to the Music in the parking lot. There will be Bruins Face Logo Stickers and 40th anniversary Mini Sticks as well. A big Shout out to our fans to come and celebrate. There will be many alumni players and staff from the years gone by including those of the original team some 40 years ago. Then you can go inside and pack the house to send the Bruins off on their new season of Junior C hockey. Yes, the Boys Are Back In Town! Comments Off on 2 Wins in Two Nights For The Bruins! 2 Wins in Two Nights For The Bruins! The Bruins start the season off with a perfect record of 2-0 but can thank their goaltender Jake Joosten for making not one but two clutch saves late in the game with the score 2-1 Uxbridge. First it was a pad save while on the ice and then a glove save from 5 feet out before Patrick Bolahood sealed the win with an empty net goal. Bolahood opened the scoring in the first after dropping a pass for Damien Heinle whose shot rebounded back to him and he tucked the puck pass the Knights goalie for the 1-0 lead. The Knights came alive in the second tying the game at 1-1 where it stayed that way till Colby Gardner’s breakaway goal on a nifty deke in the third period. Then it was Joosten’s heroics late in the game as he was peppered with 46 shots through out. Bolahood picked up an empty netter for a 3-1 final. 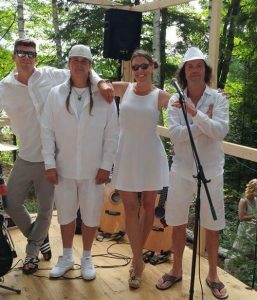 The Bruins home opener is this coming Friday Sept.23rd starting off at 5:30 pm with a tailgate party to the music of Erin Briggs and Therapy Seekers. Hope to see you there. Comments Off on Bruins pick up first win For Coach Evans! Bruins pick up first win For Coach Evans! As they say it wasn’t pretty but in the end they got the job done with a 6-4 win in Georgina’s home opener for Tim Evans first win as Head Coach. Justin Aikins started a rush from his own end, passing up to Ryan Miehm who found Jack Schnalzer and he tipped the puck to Aikens. His shot found the open corner for a 1-0 lead after one period of play. 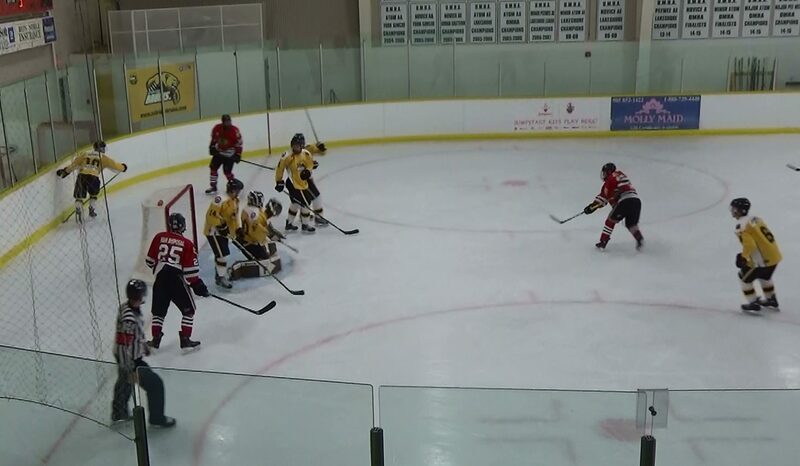 The second started promising as the Bruins opened up a 3-0 lead on goals by Patrick Bolahood (PP) from Brady Baker and Adam Barthlomew, then Damien Heinle on a pass from Kyle Spataro, but the Ice would score 3 straight to tie it up after two periods of hockey. Derek Dolan (PP) gave his teammates a 4-3 lead with Aiden Reilly assisting, however the Ice tie it up again at four apiece. It was Liam Timewells goal with under 5 mins remaining that was the game winner on a setup by Derek Dolan. Dolan added an EN goal for a 6-4 final. Jake Joosten picked up the win in goal as he faced 26 shots on the night. Uxbridge travels to Apsley to face the Knights sat Sept.17th at 7:30pm. Comments Off on Uxbridge Bruins Alumni Golf Tournament! Uxbridge Bruins Alumni Golf Tournament! 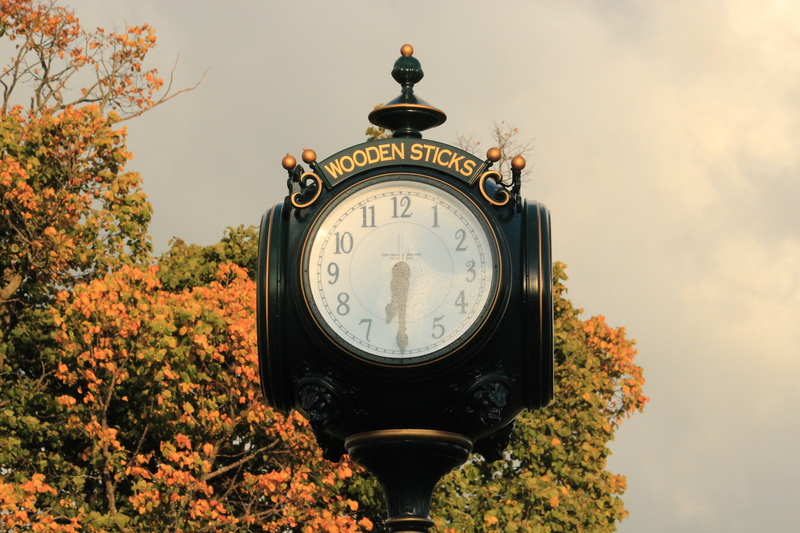 A reminder that the Uxbridge Bruins Alumni Golf Tournament is Sat Sept.24th at Wooden Sticks. All money raised goes towards the operation budget for the 2016/17 season for this community hockey club. 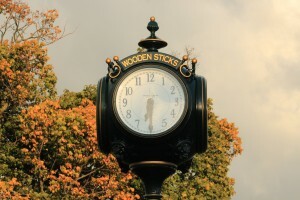 click here to sign up and enjoy a Saturday of reminiscing with your hockey mates from yesterday! This is also open to the public. The Bruins website has past 60,000 hits at 60,099 tonight. 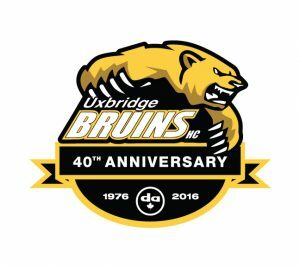 Thank-you to everyone for supporting the Uxbridge Junior C Bruins as we enter our 40th season.